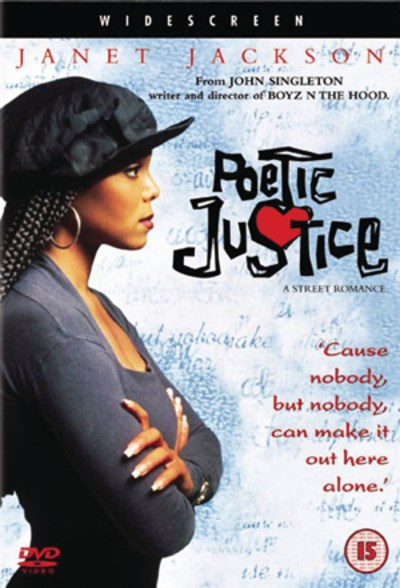 John Singleton's follow up to the acclaimed Boyz n the Hood is the street-smart love story Poetic Justice starring pop superstar Janet Jackson and rap legend Tupac Shakur. A mismatched pair pushed together in a road trip from South Central L.A. to Oakland, Justice (Jackson) and Lucky (Shakur) have only one thing in common: they can't stand each other. But as their friends Iesha and Chicago (Regina King and Joe Torry) fight - and make up - in the back of the van, Justice and Lucky find themselves reluctantly drawn together. Featuring the music of Naughty by Nature and Tony! Toni! Tone! and the poetry of Maya Angelou, Poetic Justice, is every bit as intense, original and unforgettable as Boyz n the Hood.